Meet with Kashaun from our Microfinace Program | Strong Hearts International, Inc.
Keshaun Mossie, is a young man of 30 years. He was born and formed a family in the Gojam region of Ethiopia. He is married and is a father of three children. 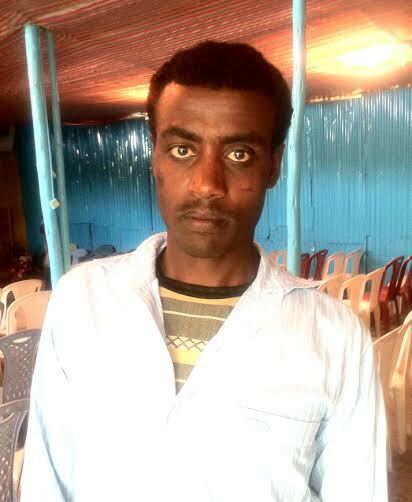 Three years ago because of a severe broken leg injury, he was forced to come to Addis Ababa for treatment. Because of the heightened state of his injury he was compelled to be treated as in-patient at the Alert Hospital in Addis Ababa for seven months. Then he continued his treatment as out-patient for the next two years, and even now under treatment. In all these years, since he does not have any means of income, he is living with his uncle at the kore area in Addis Ababa. Because of this he has not heard anything from his family, and has not helped them in anyways. When some people he know told him about the training in Cloth designing being giving by Mercy House training center, he did not wait very long to come and register. He realized that the vision that was in his mind to be the owner of a profession, to gather and support his family scattered by poverty has finally arrived, and now he has started his training. Prayer is appreciated as Kasahun persuade his training he may grow in his faith with the lord.